"Alessandro Viale tackles the often extreme virtuosity of this work with consummate skill whilst never losing sight of the inner voice that runs through it." The Classical Reviewer on Peter Seabourne's "Steps Volume 5: Sixteen Scenes Before a Crucifixion". 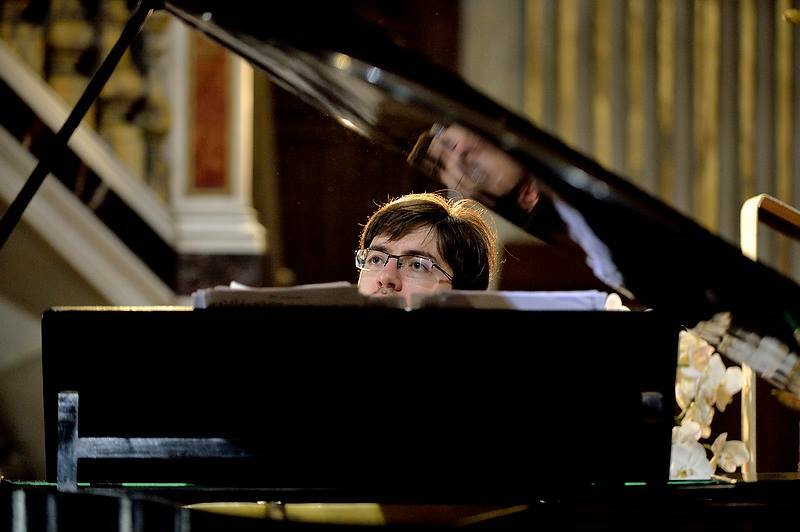 "The pianist Alessandro Viale is a committed performer of Seabourne'smusic. He creates with a remarkable technique, a wide dynamic range and many colours." Pizzicato, on Peter Seabourne's "Steps Volume 5: Sixteen Scenes Before a Crucifixion". 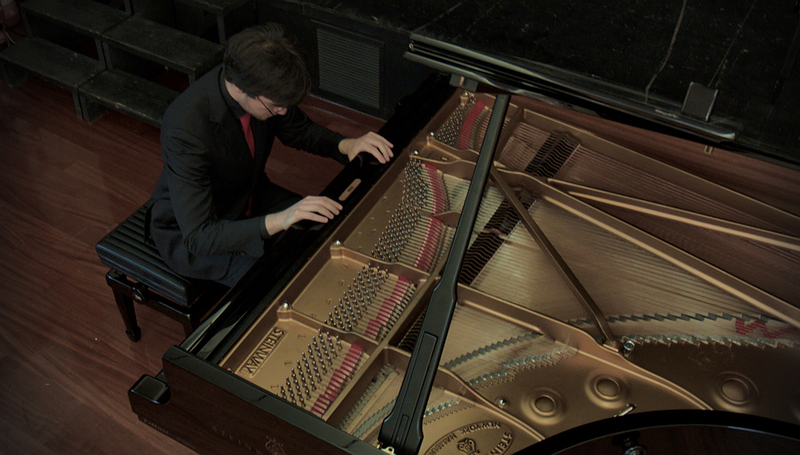 "They recalled Schumann with a diversified and expressive manner. They could represent a delicate "singing" sweetness, a melancholic and nostalgic tenderness but also a pronounced rhythmic brilliance, with fluid and vibrant breath." 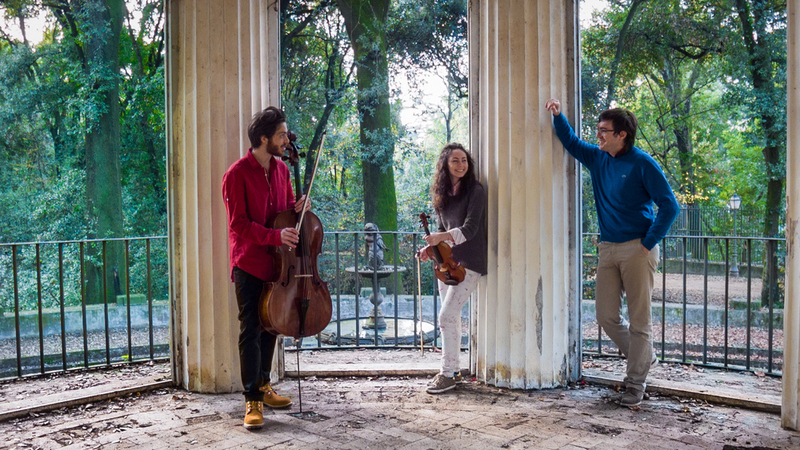 Fabio Brisighelli about a concert in duo with Matteo Rocchi, violist. "Schumann rifluiva in tutta la variegata gamma espressiva ora di una riposta dolcezza "cantante", di una tenerezza malinconica e nostalgica; ora di una più pronunciata brillantezza ritmica, con stacchi fluidi e vibranti" Fabio Brisighelli su un concerto in duo col violista Matteo Rocchi. "The piano sound was perfectly merged with the soprano, surely thanks to carefully rehearsing and the empathy between the performres; the virtuoso pianist also played long solo pieces defined by an impressive variety of tones and an absolute clarity that enhanced the beauty of the secretive atmosphere. He provided the audience with moments of real hypnosis, in the evocative parts, with an authentic interpretation of the Argentinian classic music that was absolutely up to-date." "Il pianoforte versatile di Viale si è letteralmente fuso alla soprano, segno di lavoro ed intesa, ma il virtuoso pianista ha anche regalato lunghi brani solistici caratterizzati da una accentuata varietà dei toni, una assoluta pulizia che ha sfruttato appieno la magia del luogo raccolto, e l'esecuzione ha regalato ripetuti momenti di vera ipnosi nei passaggi più rarefatti, in un’interpretazione dei classici argentini che è risuonata assolutamente d’avanguardia." 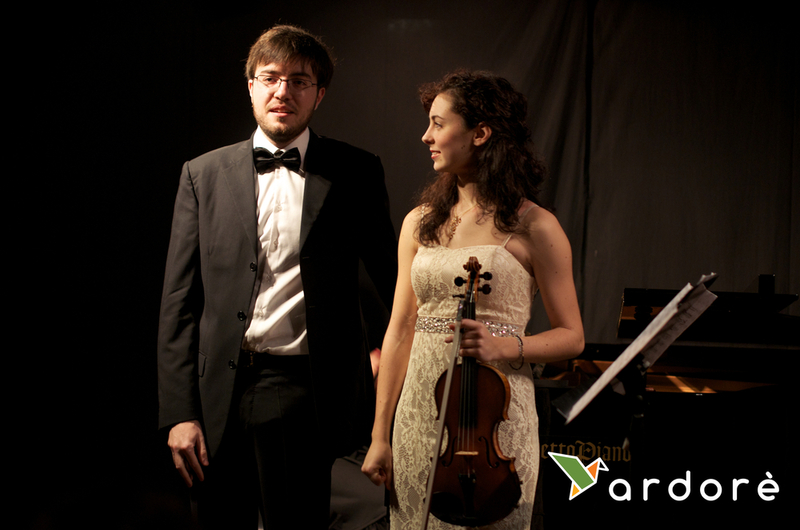 sul concerto "Vientos del sur" con Nora Tabbush. Art gives voice to people thoughts, that's why only contemporary art can speak about the present. I search everyday how to render the composer ideas and speak the language of the contemporaneity. Philology is important but it is worth nothing if it stops you from expressing yourself. This is why I collaborate I have founded Rest Ensemble, and I work with musician as Lorenzo Gabriele, Samuel Staples, Rebecca Raimondi and Nora Tabbush, and I collaborate with Il Quadro Animato Ensemble, and the Bellot Ensemble. Because we all believe in the astonishing power of emotions. With the Indian conductor Michael Makhal I have founded the Autumn International Music Fest and the Indo-European Chamber Orchestra. The first edition of the Festival will run from 23rd to 28th October 2018. Every year we will have masterclasses and concerts with the best European and Indian musicians. In summer I teach conducting at the International Masterclasses Narni guiding talented students from India and Europe to their first experiences with an orchestral ensemble. For two years I have been Principal Conductor of Archi Accademia Nova, a youth string orchestra located in the centre of Rome (Palazzo Braschi in Piazza Navona), collaborating with musicians as Roberto Gonzalez-Monjas, Gabriele Geminiani, Marco Fiorini and Massimo Paris to guide a group of 20 young musicians. Accompanying more than hundreds of musicians to their final degrees. Professional Accompanist at the Guildhall School of Music & Drama and at the Trinity Laban Conservatoire in London. From the live improvisations at "Abbasso Radio2" (RedTv) radio programme by Saverio Raimondo to the intense atmospheres of Mirca Viola's movie "Cam Girl" soundtrack, from the big orchestral works to chamber music works. This is how I make music, as a well-rounded artist.